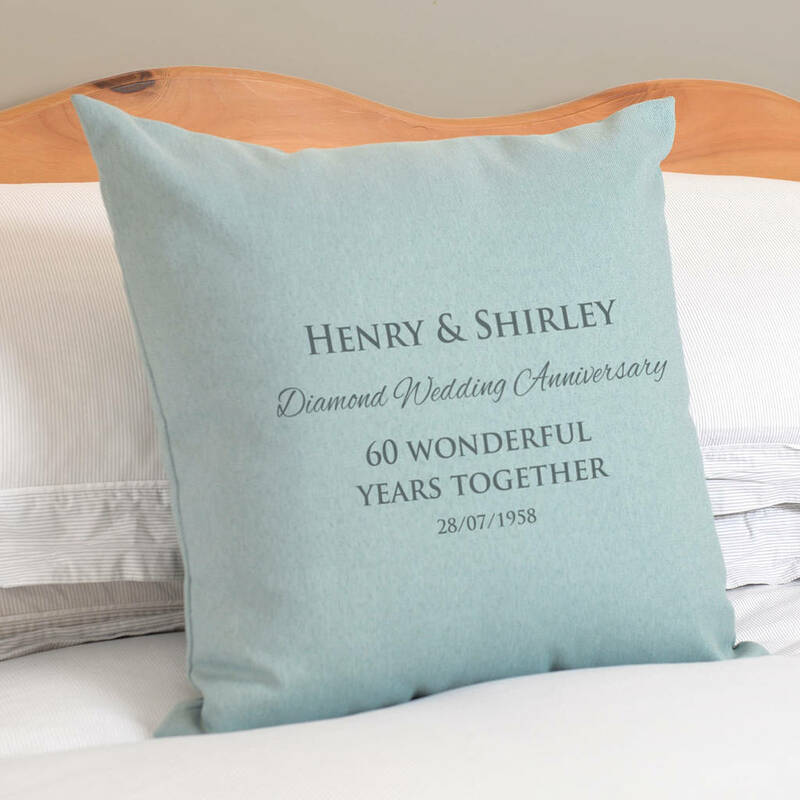 Add the couple's names at the top, followed by "Diamond Wedding Anniversary... 60 Wonderful years together" and the date they were married below. It would look beautiful on the sofa or in the bedroom, and will be a special reminder of a milestone date for two special people. 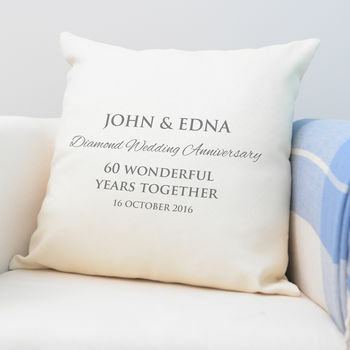 The cushion comes in cream cushion with grey text, the text is printed onto one side only. 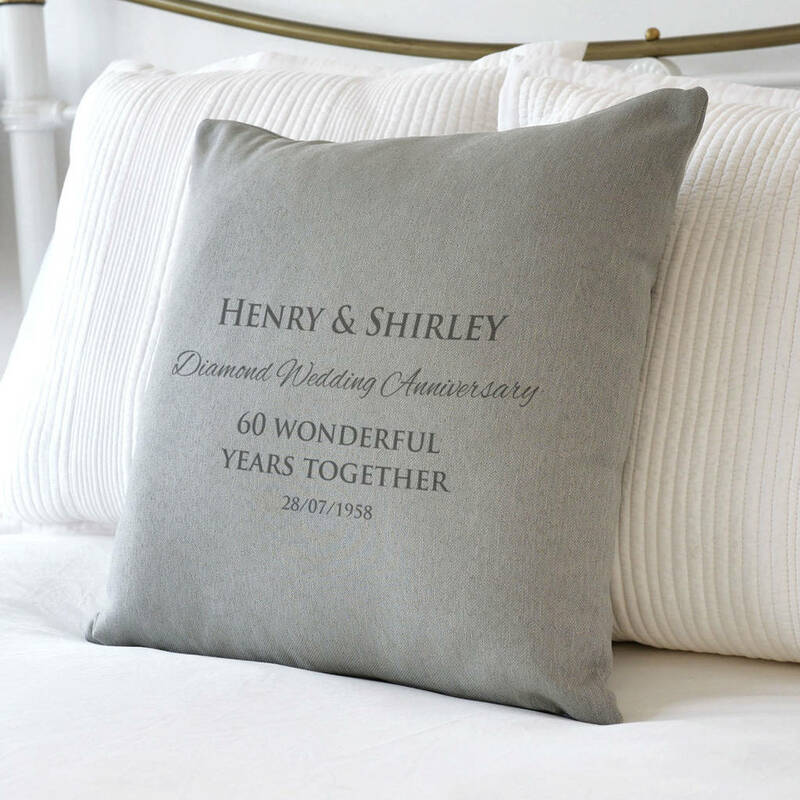 The cushion comes in cream, grey or duck egg blue with grey text. Text is on one side only.